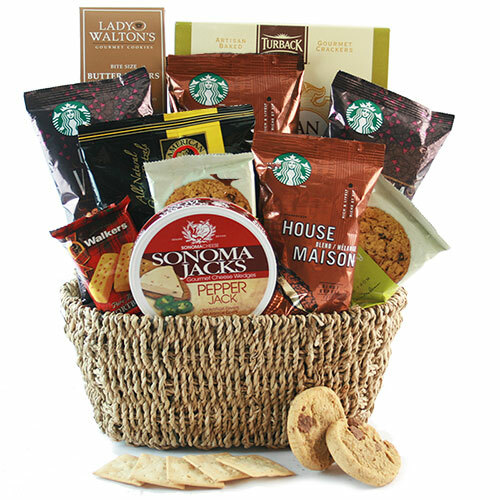 In an instant, they can enjoy the smooth, natural, inviting tastes of Your Choice of 4 Starbucks Coffees all in one gift. A dreamy collection of Starbucks signature blend ground coffees, paired with a delightful collection of sweet surprises and a ceramic mug (color may vary)! Please choose the Starbucks ground coffee that you wish to include with your gift from the choices below.